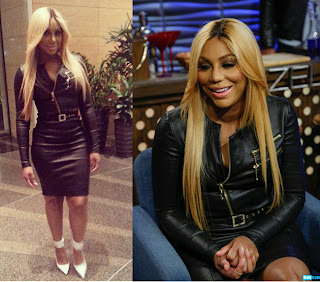 Kemi Online ♥: Tamar Braxton amazing post baby body! 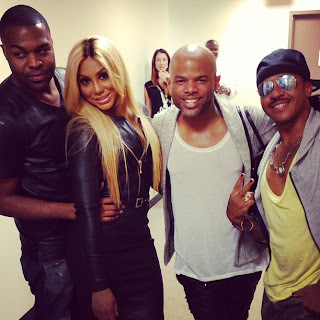 Tamar Braxton amazing post baby body! Tamar has literally given birth to her adorable baby son Logan, just 8 weeks ago. Ms Braxton Herbert looked great on last night's episode of Bravo's Watch What Happens Live.' 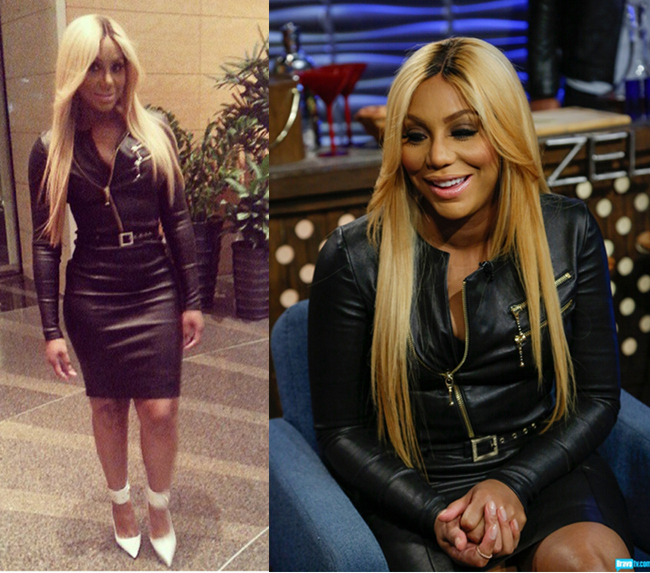 She wore a black leather zip top & belted Thomas Wylde dress with white Versace ankle cuff pumps. Work! She looks gorge, and I love her choice of hair color and style. She rocks blonde so well!